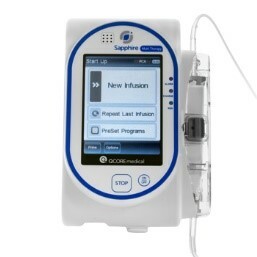 Buy or rent pre-owned, recertified Sapphire™ Multi-Therapy Infusion Pumps with Bolus Handle you need today. All pre-owned medical equipment is patient ready equipment and is covered by an OEM matched warranty. J2S Medical is a provider of cost effective solutions for Medical Products, Parts and Service to hospitals and alternate site healthcare organizations in the US, Canada and Latin America.